While Episcopal High School was founded in 1839, the abolition movement gained momentum and tensions between Northern and Southern States intensified. At this time, Alexandria served as major domestic slave trading post, and faculty at Episcopal, including Headmaster McGuire, hired the service of enslaved workers on campus. Episcopal was the school to which some of the wealthiest plantation owners in Virginia sent their sons to be educated. Twenty years after the school opened, over 400 current students and alumni volunteered to fight for the Confederacy while the High School was occupied by Union troops. After the Civil War ended, the Confederate cause was remembered and honored by the many faculty and students whose family members had fought, served, and died in the Civil War. Today, this Confederate legacy is cemented on campus through the Randolph Fairfax award. This award is in honor of an alum, Randolph Fairfax class of 1859, who died in the Battle of Fredricksburg. 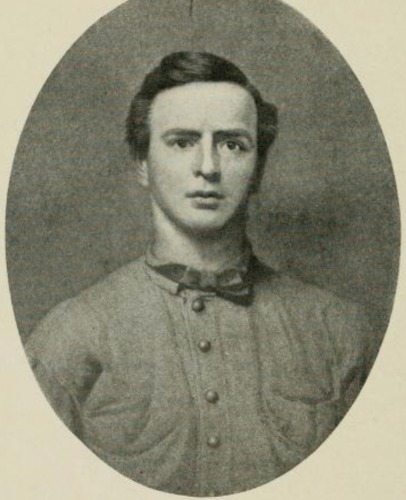 Fairfax was remembered as a boy “actuated by a desire to do his duty; [and whose] conduct [was] guided by principle.” When the school reopened after the war, Headmaster Launcelot Minor Blackford created the award honoring the senior who best demonstrates the highest ideals of Episcopal. Blackford and Fairfax both served in the Rockbridge Artillery, initially commanded by former Headmaster William Nelson Pendleton, and were "messmates." So by naming the award for Fairfax, Blackford honored both his friend and the sacrifice of the Lost Cause.